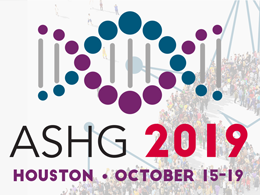 The American Society of Human Genetics (ASHG), founded in 1948, is the primary professional membership organization for human genetics specialists worldwide. Our mission is to advance human genetics in science, health, and society through excellence in research, education, and advocacy. The Society’s nearly 8,000 members include researchers, academicians, clinicians, laboratory practice professionals, genetic counselors, nurses and others who have a special interest in the field of human genetics. Our members work in a wide range of settings, including universities, hospitals, institutes, and medical and research laboratories. For more information, visit www.ashg.org. ASHG members: Interested in contributing to our blog? Email blog@ashg.org.